Happy 45th Birthday to Me! 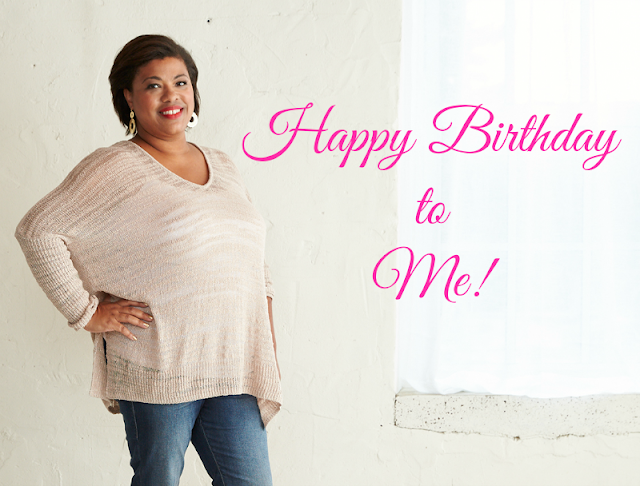 Today is my birthday and I turn the big 45! Nope, I'm not ashamed to admit it. In fact, I think I look pretty darn good for my age. It's all in the genes. I know that this is a milestone birthday and I really should do it big, but alas I'll be celebrating the way I always do. Getting my free Sephora and Ulta gift and enjoying a meal or two. See how I score my birthday freebies here. My nails will some shade of pink and you know there will be glitter too. See how I achieved this look here! I'll be posting my birthday shenanigans on Instagram Stories so be sure to follow along! Happy Birthday! It's always a blessing to see another birthday.